Lexmark International, Inc. provides businesses of all sizes with a broad range of printing and imaging products, software, solutions and services that help customers to print less and save more. Perceptive Software, a stand-alone software business within Lexmark, is a leading provider of enterprise content management software that helps organizations easily manage the entire lifecycle of their documents and content, simplifying their business processes, and fueling greater operational efficiency. 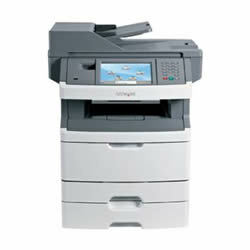 Contact us to find out more about our Lexmark products.